If you haven't installed ScribeUI yet, see this guide first. Workspaces could be compared to projects in other development environments. They can contain multiple maps and points of interest. You will need to create one in order to use ScribeUI. 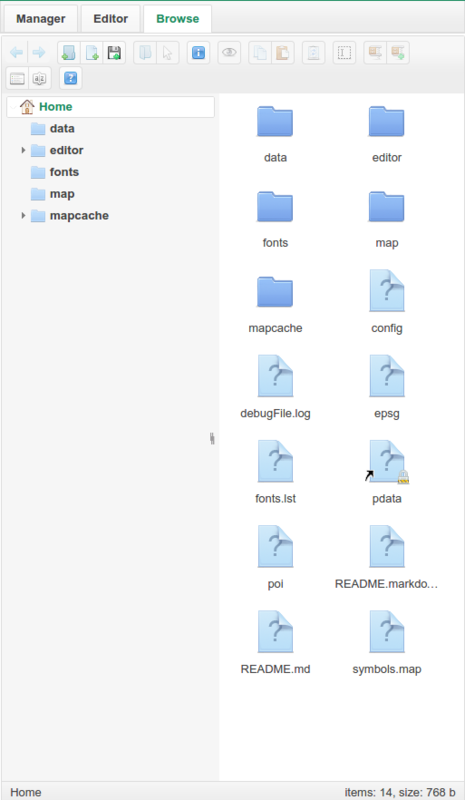 The default workspace contains the map templates. Its password is "default". It is recommended that you don't change anything in this workspace, unless you want to add templates. Instead, press on Create workspace to create a new workspace. A popup will ask you for a name and a password. Enter the name you want to give to your workspace, a password if you want one, then press Create. You will now see your workspace in the dropdown menu where default was written earlier. To delete the selected workspace, press on Delete Workspace. To access it, press on Open Workspace. 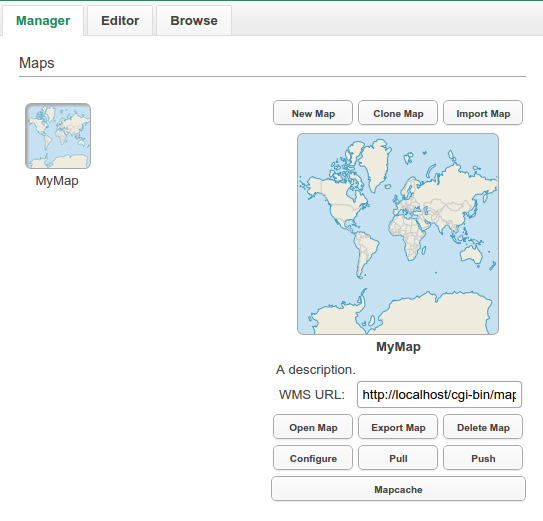 This is the Manager tab, where you will find and create the maps in your workspace. On the upper left corner of the screen, there are two other tabs, Editor and Browse. These tabs won't be useful without a map, so they will be described later. On the upper right corner of the screen, there is a dropdown menu with the workspace's name. To return to the login screen, press on your workspace's name then Logout. On the bottom right, there is a dropdown menu. This is the Points of interest dropdown, which will also be described after we have a map. Leave the Template field with default, and you can add text in the Description field if you want. If you press on the + button at the bottom of the screen, two more options will appear. 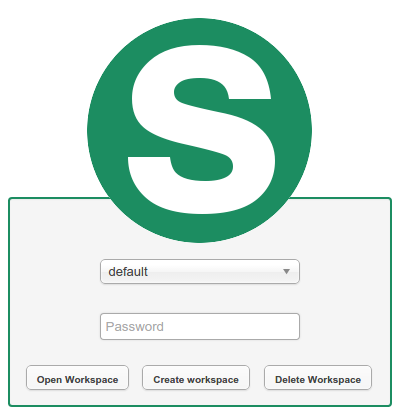 Workspace lets you select a workspace other than default to select your template from, and password is the Password to that workspace if there is one. Press on Open map to open your new map. You should see a map of the world. On the bottom right of the screen, the Points of interest dropdown should now be usable. You can add a shortcut to your current view by pressing the + button in the dropdown, and remove the selected point of interest by pressing the - button. Groups: These are the layers of the map. If selected, the left part of the screen will only show the layer selected in the second dropdown. Otherwise, the layer selected will appear in the bottom left corner of the screen. Map: This section is the Map section of a regular Mapfile. 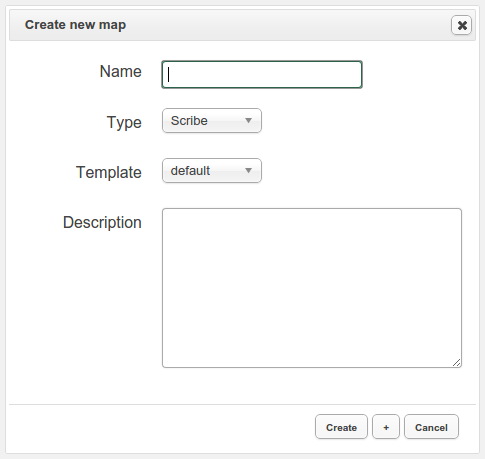 If the active map has been set to use the Scribe syntax, the code in the editor will also use that syntax. This is true for every option. Variables: The Scribe variables. 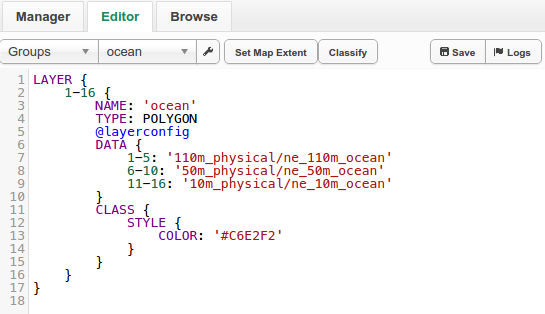 This section will be empty if the map wasn't set to use the Scribe syntax since regular mapfiles do not have variables. Scales: The numerical values for every scale level. Symbols: The symbols definition file. Fonts: The fonts to be used with the map. Projection: The projection(s) to be used with the map. ReadMe: You can fill this file with useful information about the map. The second dropdown contains the layers in the map. The tool button next to it lets you change the order of the layers, as well as add or remove a layer. Copyright Mapgears 2013 | ScribeUI is released under a MIT-style license | ScribeUI.org is hosted on GitHub Pages using the Architect theme by Jason Long.